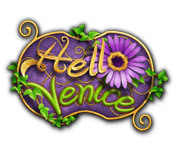 Help Adda and Ciro solve a mystery and restore a garden to its former beauty in Hello Venice, an amazing Match 3 game! After the venerable Sacrobosco Grimani dies, his entire garden wilts away and loses its luster. Now, it's up to his grandchildren to bring the garden back to life and preserve Sacrobosco's memory. Make it through challenging Match 3 levels and quick Time Management scenes to save the day in Hello Venice! Hello Venice is rated 4.3 out of 5 by 47. Rated 5 out of 5 by flo8 from Great Match 3 Game with extras Absolutely loved this game. I call it a match and build game. Rated 5 out of 5 by maudland52 from So Addictive! I love this game. The match part is not match three. They only need to touch on a side. You can go for points and wins or just wins. It can take forever or not. Play it every night. The garden doesn't match when you put things in it which is weird but I got over that and make it look stupid. Who cares? I am the only one to see it anyway. Makes me laugh. Love this game. Hope to find more of this type of match. Rated 5 out of 5 by Dark_Mesa_85344 from So Much Fun! This is by far the best Match 3 game I've played! Great graphics, music and challenging without being frustrating. Each board has a different power-up and strategy to it so it keeps things interesting. Can't wait to play more "Cradle" games, "Cradle of Japan" would be awesome! Rated 5 out of 5 by cheryledz from Hello Venice - GREAT!!!!! LOVED this game!!!! Couldn't stop playing it!!! Very addicting!!! Rated 5 out of 5 by Curioddity from Love, love, love this game! I am staying up way too late with this game. I finish a level and think "just one more" which turns into 4 or 5. It's relaxing and challenging at the same time and the graphics are gorgeous. It's also not one of those beautiful too short games. I've been playing for days and still have some way to go and I am not sick of it in the least! Rated 5 out of 5 by superkraut15 from A light and relaxing Match 3 game I thoroughly enjoyed Hello Venice right from the get go. I purchased it not even 5 minutes into the demo because I knew this would be a fun, light M3 game and it didn't prove me wrong. Great graphics and the fact that it's untimed is great. I don't care for the timed games as they can get frustrating and I get fed up and quit the game. This one is just challenging enough to keep you interested in going to the end. Buying objects is always fun as you see your progress and it makes you want to hurry up and finish the next level to get more money. This one is a real winner. I love 4 Elements and Gardenscapes is one of my most favorite games, and as everyone has said, it's a combo of the two. Very rewarding and relaxing at the same time. Rated 5 out of 5 by kasiabron from Excellent game Love match 3 games! This game is nice because it is long and slow and nice to have a few days to play rather than one that is sooo short and you finish so fast! I love it! Rated 5 out of 5 by jil1 from delicious M3 A funny game . 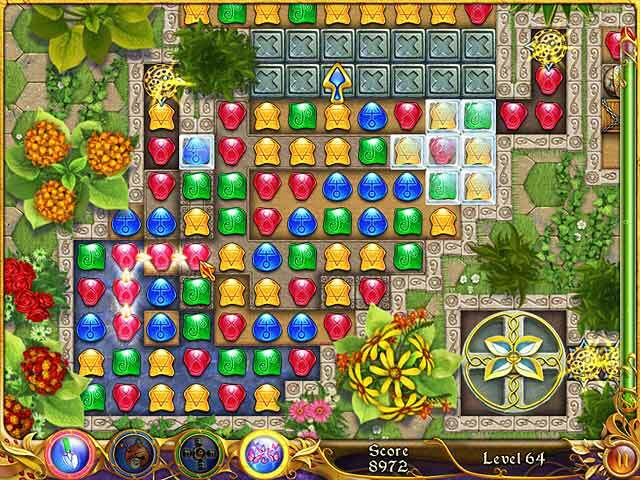 A combination of Gardenscapes and 4 Elements I and II. It has a important option for me "relaxed" (I don´t like "timed" games, and to build a garden with 3 types of furniture is gorgeous. Rated 5 out of 5 by andreigeo from Amazing match 3 game I would recommend this game to all of you, It's addictive because of the combination of match 3 with time management.. Try it!!! Rated 5 out of 5 by CorinaGh from My favorite game I really enjoyed Hello Venice! It has beatiful graphics and it is really fun to play! Rated 5 out of 5 by mihai_dmc from Great match 3! The game is great! It is very addictive! I've finished it 3 times. Rated 5 out of 5 by sereneorchid from Unique, exciting match game, with virtual garden Marvelous graphics and animations. Your matches are made essentially by using your mouse to draw a line through three or more matching tiles -- make a chain as long as you can. Once I got the hang of it, I loved it! It's such a fast and easy way to play, and a lot less clicking than usual. Matching breaks through the stone or grass in a garden maze and lets water flood in. A very cool effect. An arrow points the way, and you keep breaking a pathway for the water until you reach a fountain that erupts. Again, very cool. I am addicted to this in just the trial period. I love that the money earned in the matching games is used to restore a garden with beautiful flowers and various decor. Virtual gardening is always a treat for me. The only thing I would caution is I unselected the custom cursor, which often speeds up a game, and the cursor completely disappeared. I restarted the game several times, and the cursor never came back. So I wasted time trying to re-select the custom cursor with my "invisible" cursor. My advice is to leave the custom cursor alone! I didn't notice that it affected performance. Love, love this game. Rated 5 out of 5 by gmac1007 from Love It ! This game is so much fun it's like 4 Elements meets Gardenscapes. The graphics are really pretty and bright and the characters are really cute as well especially the little boy he's just too cute. I bought the game only after a few minutes into the demo and I'm loving it this type of Match 3 is right up my alley. The power ups are really cool as well along with the decorations you buy to fix up your garden. Definitely a must have game and one that you won't get tired of. Love this game and hope to see more like this. Rated 5 out of 5 by kathiebee from Top 10 M3 Loved the gameplay, and the graphics. Like Gardenscapes meets Four Elements. I am always glad to see a Relaxed option, as I am not into timed challenges. Has enough challenge to make it interesting, without being "brain busting". As in gardenscapes etc, you get to choose 1 out of 3 versions of each item you buy for the garden. Has a mini game throughout which helps you earn more money for purchases. I thoroughly recommend this game. Rated 5 out of 5 by HIIRI from HELLO VENICE IT IS LOTS OF FUN AND CHALLENGE. Rated 5 out of 5 by kcerqua from Beautiful graphics Although this is not my type of match three (click and drag) the graphics are beautiful and I love when you get to buy items for your garden and eventually see what it looks like in the end. There are some TM mini games to play which does help earn you a little extra money and pull you away from the game board. Once again there is no other option but to play the click and drag match so I will not be purchasing but overall was a gorgeous game! Rated 4 out of 5 by deddu from Earned Money to Restore the Garden If you liked 4 Elements this game is similar. You move water to a fountain through obstacles and earn money along the way. My only objection is that you have to spend the money or it is lost. It doesn't accumulate, or at least it didn't for me. Rated 4 out of 5 by SimbaKomba from If you loved 4 Elements... Then you will like Hello Venice. This is a pathfinding match 3 so instead of clicking to rotate slots to make 3 in a row, you drag your mouse over an existing chain of 3 to create a path for the 'energy' to flow through. I don't like standard Match 3 but I love these pathfinding ones. I find them quite relaxing, but they can be challenging too. They are the very definition of a 'casual game'. Rated 4 out of 5 by Alee7383 from A good 3M Mix This is one of the best 3M games they have come up with. It's like Gardenscape but without HO, instead it's 3M very good concept. I have played many 3M's and have grown kinda board with them until now, this is really fun to play and you have to be strategic to get the water to the fountian, it really is fun. Then you get to fix up the garden. Very enjoyable. Hey they should next come out with combinding 3M, Fix up (or TM) and HO together, that should be an interesting game. Give anyone an idea? I don't listen with sound on it's annoying when your trying to play. But the visual is really good. Enjoy! Rated 4 out of 5 by LPERM from Different match 3. This one got kind of long towards the end. I liked the flower planting part. I even tried to go find the game i once saw like that but couldn't find it. Rated 4 out of 5 by arolsma from Cute game Enjoyed the game, especially buying things for the garden area. Rated 4 out of 5 by elhawk from Enjoyable As with other reviewers, I am enjoying this game. There are two drawbacks. 1) You can only go where the game takes you. You cannot move around the "Fountain." If you miss something there is no going back to get it later. 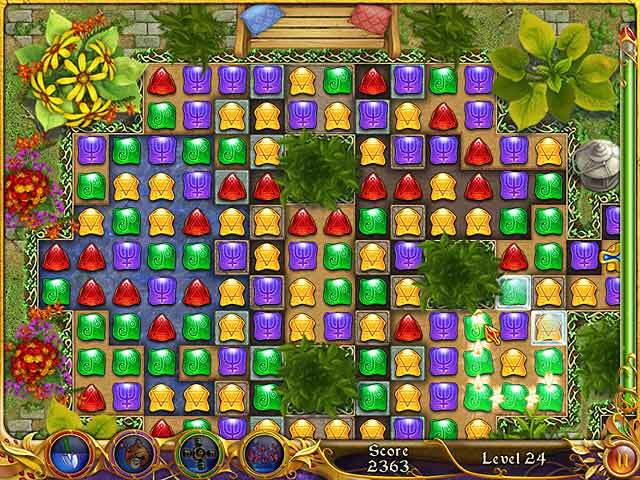 2) When you have difficulty in spotting a match three, the game will point one out to you. On several occassions the game has pointed to one where there is only one piece on screen, the other two (or more) cannot be seen. Rated 4 out of 5 by kimsalahannah from Same old, but still good Very similar to Elements, but still enjoyable. Rated 4 out of 5 by zanie56 from Fun with 2 types of games Loved the connect 3 game. Enjoyed the minnie time management games. Storie line interresting. Graphics good . Music pleasing although after a while I turned of and listened to my favorit music while I played. Rated 4 out of 5 by belamba from An excellent M3 game! Very similar to Four Elements. Gets harder as you progress through the levels. Relaxed or timed options; a 'must have' if I'm going to buy a M3 game. You build your garden centre as you go along. A bonus game of TM too increases your coins. Coins are used to make purchases in the shop. Good entertainment. Gets a little repetitive as do most M3 games. Rated 4 out of 5 by TeachumWell from A Nearly Excellent Combo If you enjoy match 3 games and Gardenscape types, this one will be a nice surprise. Good clear graphics, pleasant music and clear fonts. The TM garden building interludes could've been super but the instructions were confusing and the cash and flower requirements made it quite frustrating. Also you can't replaythese TM sections but have to go forward to even more frustrating oes. But aside from that, it's a winner. Worth a try and maybe a buy. Rated 4 out of 5 by Huntleyhimnher from Challenging but also relaxing It has both timed and relaxed right from the start, I liked the music and its very challenging. A good take on a match 3 game where you don't swap the tiles but draw over them. Rated 3 out of 5 by MEnr56 from SORELY DISAPPOINTED I have to say that I'm sorely disappointed with this game as it does NOT come close to the fun as did the 2 Match3 games of Elements and Elements2: *there were no swap power-ups *you could NOT toggle between timed and untimed (don't know if you can with the 2 above-mentioned games as I never had to switch to the untimed mode as I did with this game) *the depths of the tiles went on and on and on and it didn't seem to matter how long a chain you made (even had a couple of 16 length ones), you STILL had to clear more tiles to open up the water channel and RARELY did it COMPLETELY blow away the tiles that actually needed to be cleared without having to use the "shovel" power-up so often This game just became boring very quickly for me after having to switch to the untimed mode of play and endless tile digging. 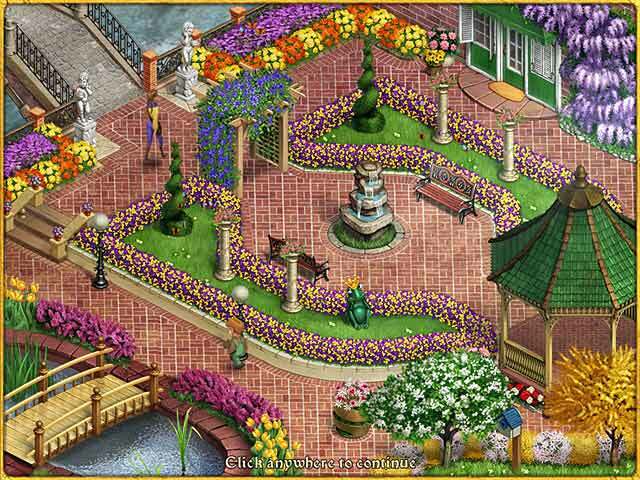 Help Adda and Ciro solve a mystery and restore a garden to its former beauty in Hello Venice, an amazing Match 3 game!